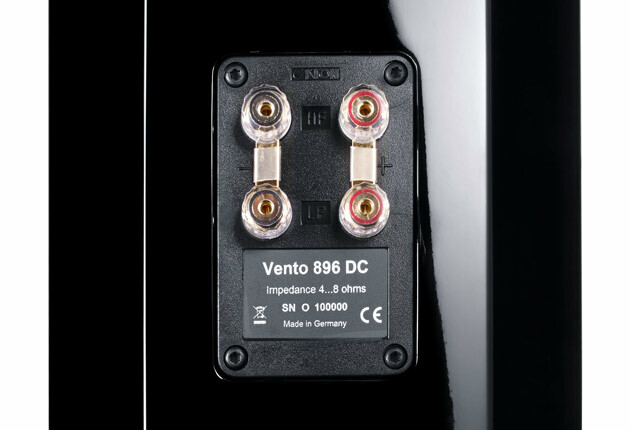 The loudspeakers of the Vento Series are like aristocrats within the cabinets. Self-assured in any environment, they impress with their natural and distortion-free sound fidelity, even at the highest of volumes. The characteristic, sophisticated cabinet design, the solid laminate construction with minimal natural resonance, and the downward-facing base reflex vent all combine to produce perfect standing. 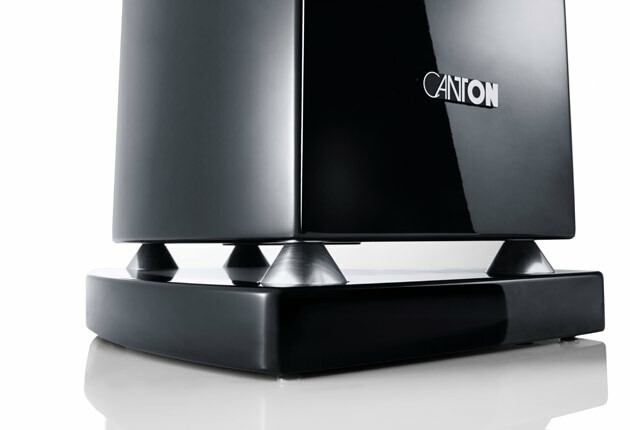 With innovative technologies such as ceramic tweeters and midrange speakers and woofers with aluminum membranes, and patented Canton wave surround, technically they are among our finest. The impression is perfected by premium high-gloss finishes, meticulous craftsmanship, and elegant details such as the magnetic fastenings of the fabric cover. 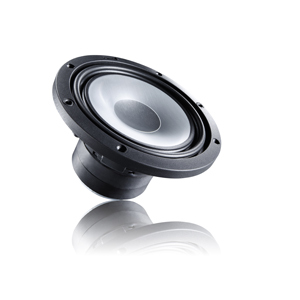 The ceramic tweeters of the Vento Series are especially lightweight and extremely rigid. That is how they produce extremely clear high frequencies and set new standards in sound. 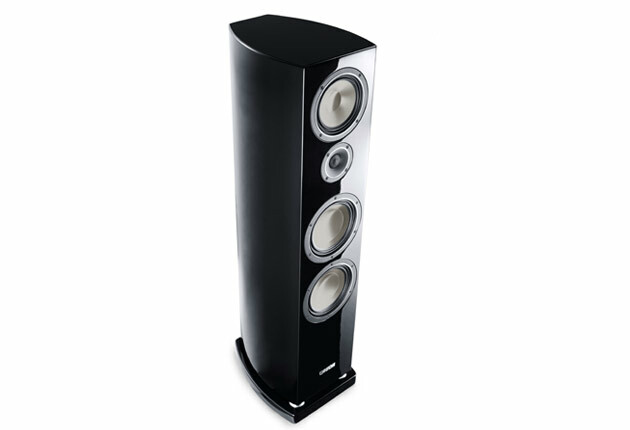 The unique bugshape is a majorfactor in the distinctive tone of these speakers and forms the basis of their successful overall appearance. Acoustically optimized and perfectly tuned in countless listening sessions, the extremely lightweight yet rigid ceramic tweeters ensure precise sound reproduction. 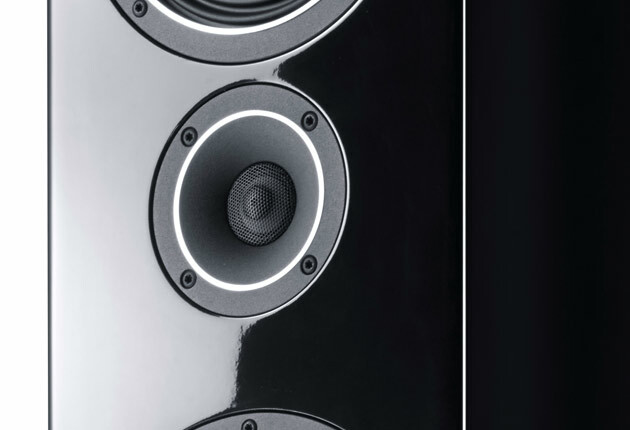 The Vento Series uses aluminum membranes in both the woofers and midrange speakers. 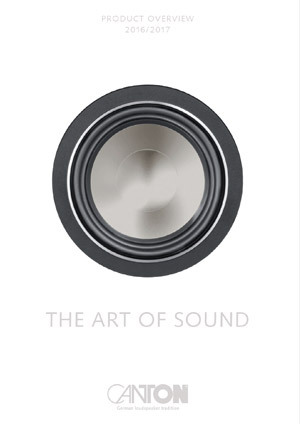 In combination with the latest generation of the triple-fold wave surround this gives a controlled, faultless swing-in and swing-out behavior, even at high volume. The characteristically organic design of the solid, multi-layer laminate cabinet with its downfire bass reflex vent produces perfect standing. The meticulously crafted conical spacers show superb attention to detail. Thanks to the bi-wiring / bi-amping connection terminals, the high / midrange can be controlled separately from the low frequency range. 24-carat gold-plated, sturdy screw terminals ensure optimum signal transmission. If required, the high-quality and acoustically neutral fabric covers hide the direct view of the technology and can be attached elegantly by means of magnetic fastening. 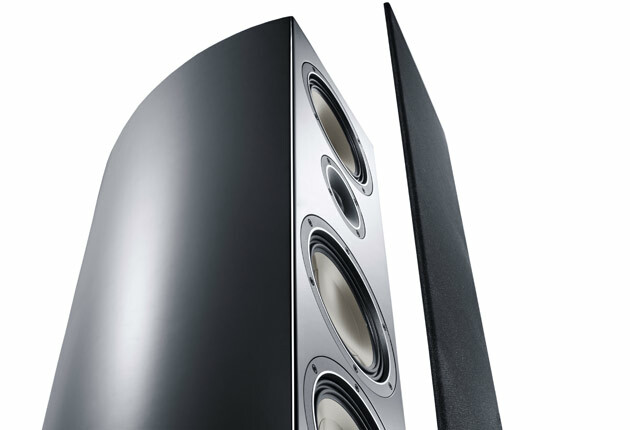 Loudspeakers of the Vento series are painted, sanded and surface-sealed in a high-gloss finish in up to eight working steps. 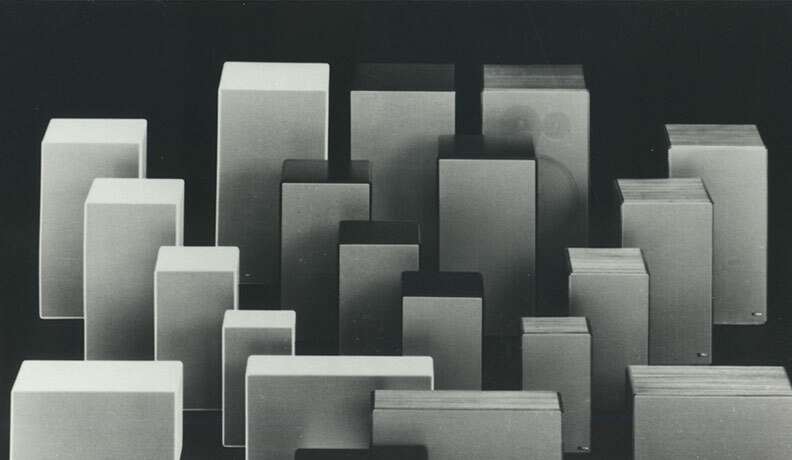 They are available in cherry, black and white "high gloss".